Item # 310964 Stash Points: 2,995 (?) This is the number of points you get in The Zumiez Stash for purchasing this item. Stash points are redeemable for exclusive rewards only available to Zumiez Stash members. To redeem your points check out the rewards catalog on thestash.zumiez.com. 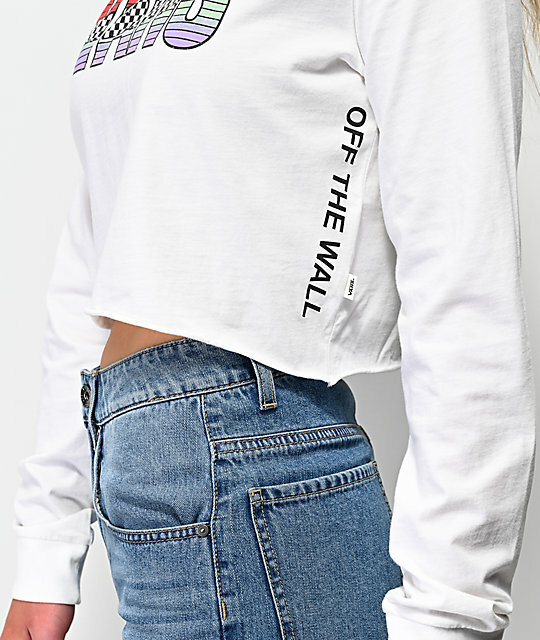 Add some edge to your daily fashion with the Vans Tore Up White Long Sleeve Crop T-Shirt. 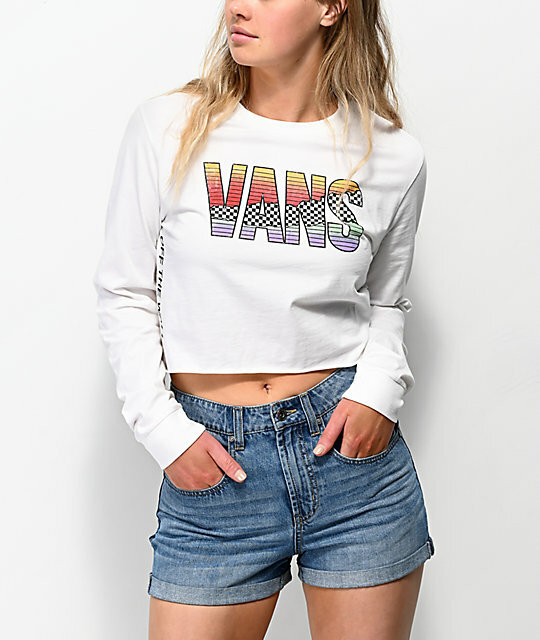 This classic boxy-cropped silhouette comes complete with a large screen-printed Vans script logo across the chest with multicolor stripe and checkerboard detailing for a vibrant look. 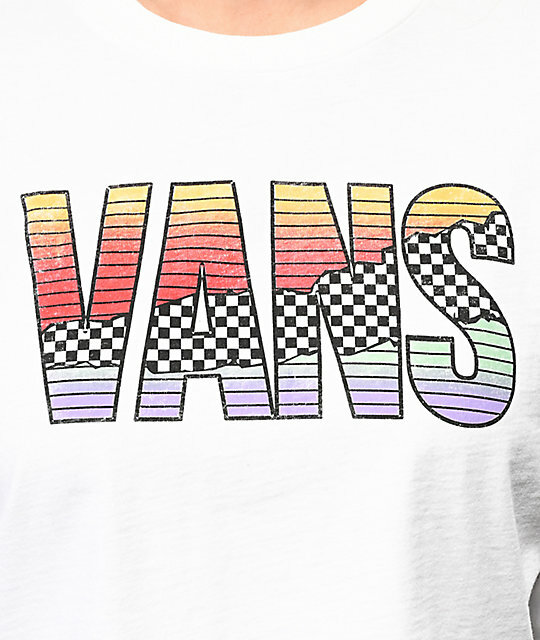 Finished with additional Vans script logos running the sides in black from the under arms to the unfinished bottom hem, this t-shirt is a must have addition to any skate-inspired wardrobe. 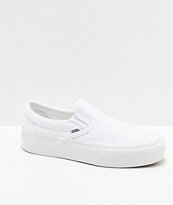 Tore Up White Long Sleeve Crop T-Shirt from Vans. Vibrant multicolored logo text screen-printed across center chest. Black logo script screen-printed up sides.